Decommissioning and dismantling (D&D) operations are strongly dependent on the facilities history and the inventory of present radionuclides. The D&D processes are significant source of radioactive waste and their management is a major challenge from technical, economical, financial and societal point of view. 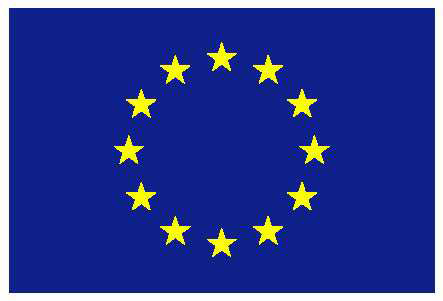 This is recognized in a number of reference documents and studies on EU and international level. These challenges are naturally subject for further optimisation and the ambition of INSIDER project is to contribute to it as follows. For constrained environments new methodologies are necessary for more accurate initial estimation of contaminated materials, resulting waste volumes and timely planning. This will be based on advanced statistical processing and modelling, coupled with adapted and innovative analytical and measurement methods, with respect to sustainability and economic objectives. The envisaged project outcomes will enable building of a fit-for-purpose representation of the radiological status of facilities (or components), at a relevant precision level allowing making decisions concerning different D&D scenario options. The overall project methodology is based on common case studies in the form of interlaboratory comparisons on matrix representative reference samples and benchmarking. Industrial partners (selected D&D actors) in close cooperation with major EU R&D organisations will drive comprehensive and realistic conclusions formalised in guidelines, recommendations and elements for pre-standardisation initiatives. These will be validated at different scientific and industrial levels and widely disseminated to the broad D&D community and beyond. This project has received funding from the European Union’s Horizon 2020 research and innovation programme under grant agreement No 755554. More info at http://insider-h2020.eu/.